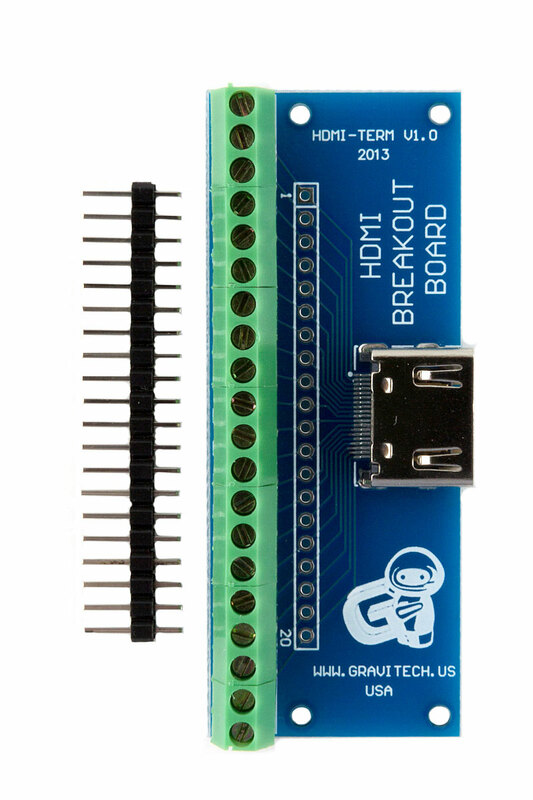 This breakout boards brings all 19 pins of a HDMI cable and shield to screw terminal blocks for easy connection and prototyping work. The connections are also accessable via 0.1" header pins, included in the package. 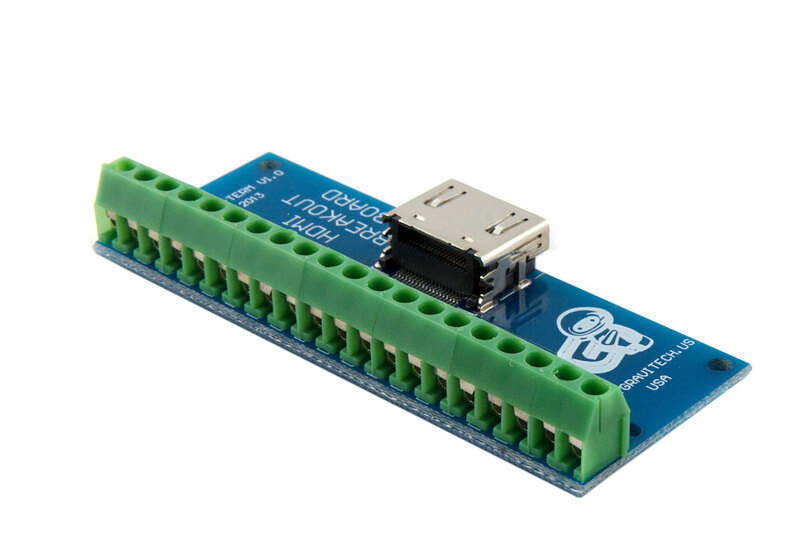 The header pins are not soldered, so you can choose what configuration you want to use it in. 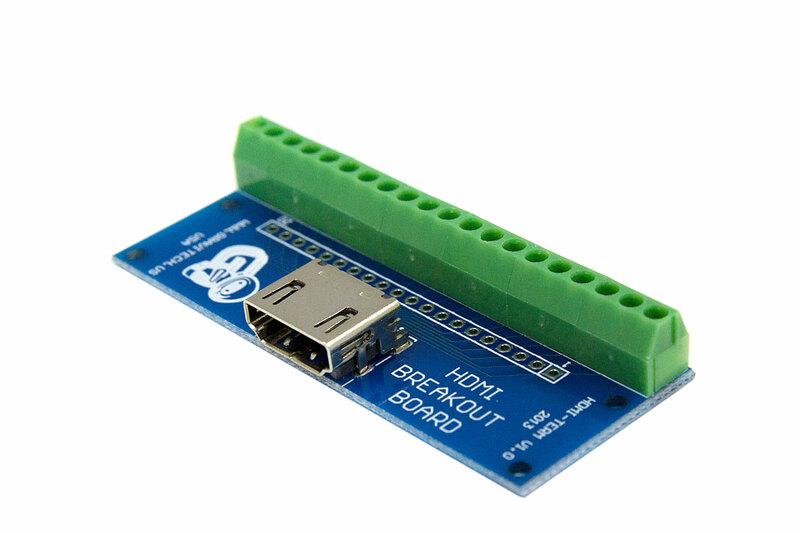 This breakout board is perfect for field wiring tasks and may be mounted to a wall box plate or project box. 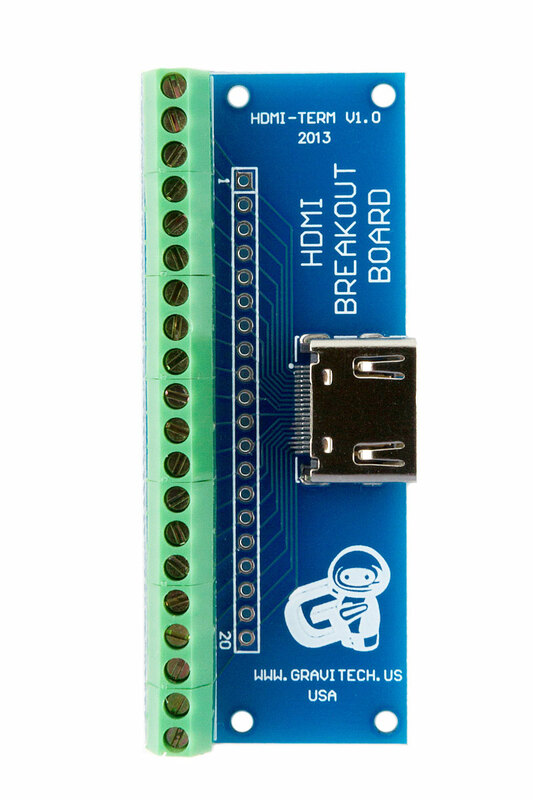 This breakout board is great for experimenting, prototyping - perfect for use in an educational laboratory setting or weekend of hacking a project together. • Sturdy metal HDMI connector housing. 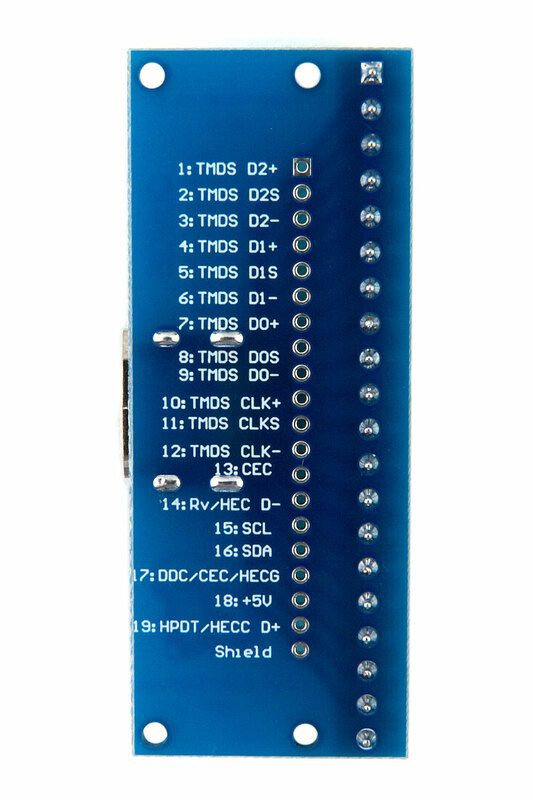 • All 19 pins of the HDMI cable and shield out to screw terminal blocks. • Additional 0.1" spaced holes for header pins of your choice. 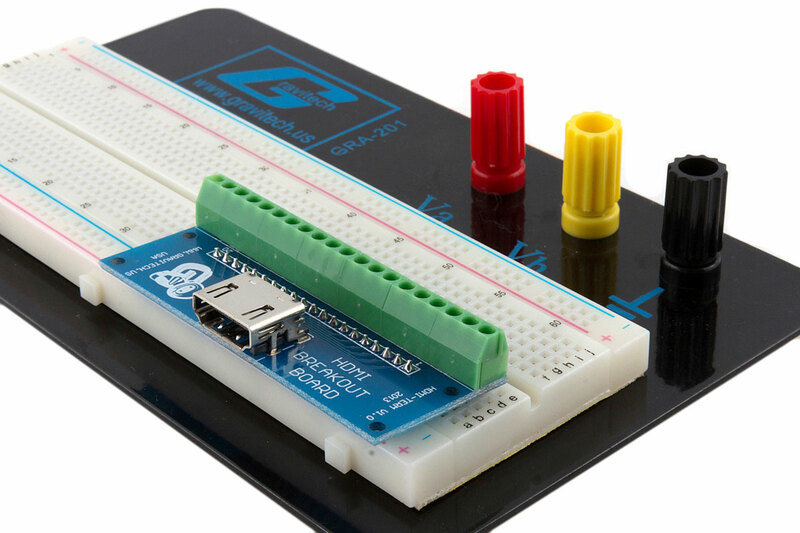 • Included is a male header pin strip (20x1). 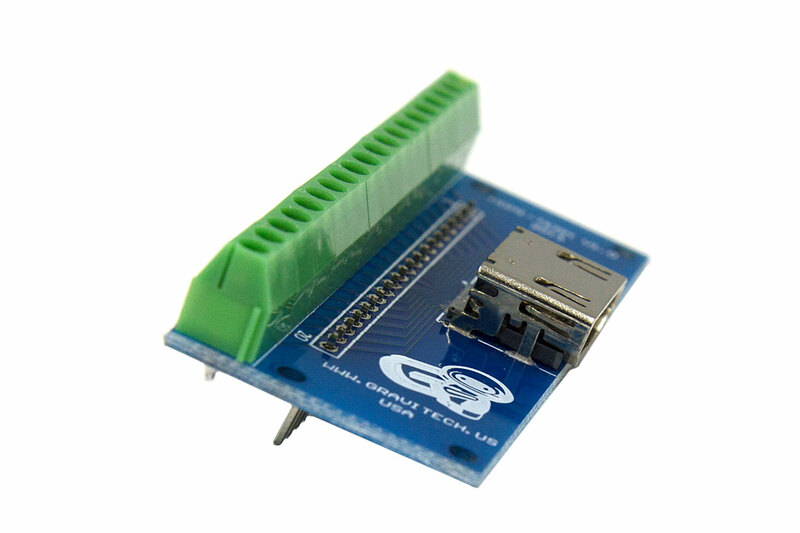 • High quality double sided PCB. • Attractive blue PCB with clear silkscreen. • Four convenient mounting holes. • Board dimensions: 2.8" wide x 1.1" deep x 0.5" tall.